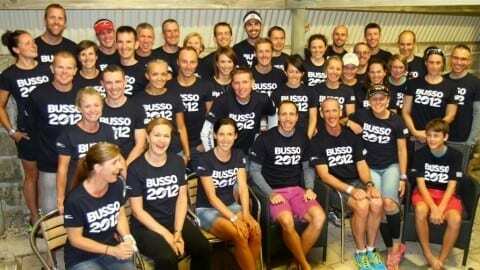 Our athletes have now all arrived in Kona and are settling in well for the Ironman World Championships next weekend. Stay tuned for updates and an exclusive interview with our athletes while in Hawaii. You will receive a great insight into what it takes to qualify and how their preparation has been leading into this big race. With this, a reminder that Coach Ollie and Sarah are away for the next 3 weeks. Coach Ollie will be contactable via email during this time, however Coach Sarah will be uncontactable. So for any training or racing queries over the next 3 weeks, you are best to contact Coach Emma either via email or call the office on 9645 2223. We have a number of short course athletes racing the last race of the duathlon this weekend at Richmond Boulevard as part of their final winter training, including the majority of our Advanced Short course Team. So best of luck to all racing. There will be NO run from Essendon tonight due to Coach Greg being unavailable. So athletes in this area either meet up at the same time/location OR meet the CBD squad at The Tan start/finish line. Friday swims at MSAC now start at 5.45am – which means an earlier ride tomorrow for those who swim at MSAC. 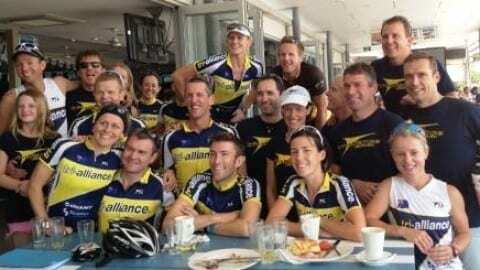 In 2012 Tri Alliance launched our Ambassador Program – a chance for a male and female athlete to become a Tri Alliance Ambassador for the Triathlon Season and share their experience, support and encouragement with fellow team mates. To be an ambassador for Tri Alliance, you don’t have to be the best athlete with the best results, you just have to be dedicated, consistent and openly support the TA Way. Tri Alliance Ambassadors will display characteristics such as a positive and motivational attitude, consistently train and attend Tri Alliance Coached sessions, encourage and support fellow athletes, and have a genuine and strong passion for Tri Alliance and the sport of Triathlon. In return, Tri Alliance and our Partners Mizuno Running, Rocket Science Sports and Fusion Health will support YOU and your training through apparel and product support valued at over $800! Interested? CLICK HERE to read more and to apply! SUMMER TRAINING PROGRAM LAUNCH – NEXT THURSDAY! 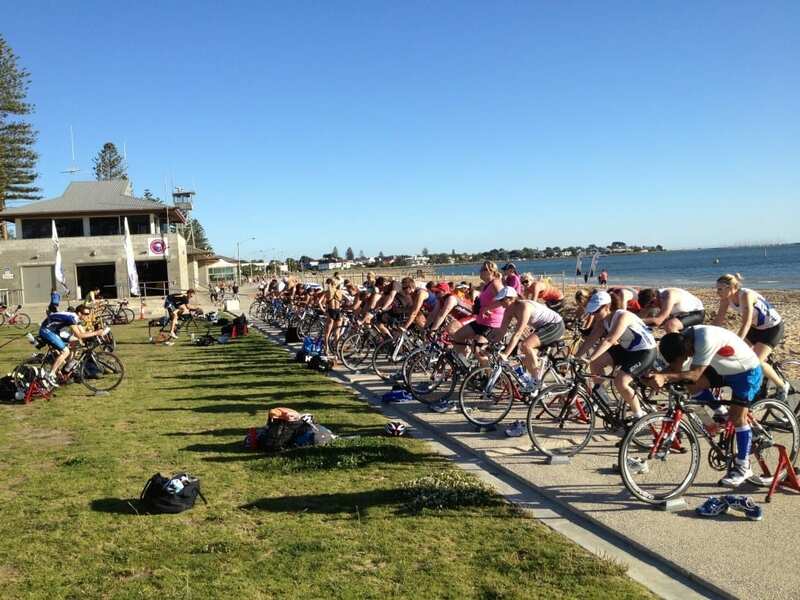 Tri Alliance has had a long association with the ELSC and to continue our support, Tri Alliance encourages ALL athletes who will be training at our sessions at Elwood Beach to become a member of the ELSC. For just $85 you receive the following benefits. CLICK HERE to read more and to sign up today. This year we again have a large number of athletes who are in taper town now for the Melbourne Half/Full Marathon. So well done to all our athletes who have hit their peak in run training leading up to the race next week. This weekend will seem like a breeze as you back off your long run distances down by around 30% of what you peaked at. For our Marathoners this can be anywhere between 20-25kms and our Half 12-15km as your long run this weekend. It really depends on what level you are at and how you are feeling. So if your program says 25km – do not think you HAVE to do the distance. Your training has been done now, you will gain more from freshening and sharpening the body than by trying to just ‘put in the kms’. Play it smart and next weekend you will have a good race. We also hope you have practiced in full your race nutrition plan – don’t think you will just wing it on the day, you need to plan. If you haven’t, make sure you speak to one of our coaches so they can give you guidance – this weekend is your last chance to practice. 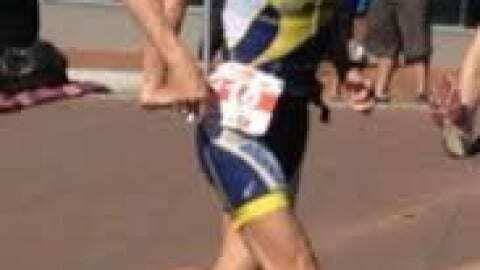 Nutrition is not the only key to having a good race though – pacing is just as important. Your long runs over the past 3-4 weeks should have given you a real good guide of where you are at and what pace you should aim for over your distance. So have confidence in the training you have done. And don’t forget the big picture. Is this race an A Grade? Or is it for a bigger purpose? If you know your goal/aim, this will also help you understand how hard and how fast you should push yourself. With next week being recovery week, make sure you book in early for a massage with Lakeside Sports Medicine Centre to flush out the legs and freshen them up for next weekend. Don’t under estimate how much a massage can help. So contact the guys at Lakeside to make sure you don’t miss out. MELBOURNE MARATHON – CAN YOU HELP?? Tri Alliance will again be heavily involved in this years Melbourne Marathon including training programs and sessions, but also we are in search for those not races to be a part! All volunteers will receive lunch, a Show Bag, Cap and Tee not to mention good Karma for their efforts! Lead & Tail Bikes 2 more Required – Must be available on event day and one other suitable time to complete a course recon, own MTB bike required however if you don’t have a bike please contact the office as we may be able to help. Volunteers to set up, serve and clean up the Lakeside drive drink station 5.45am-9.30am. Volunteers 5 more Required to set up, serve and clean up the Fitzroy street drink station 7.00am-11.30am. Complete the following link if you want to be involved! We have a number of athletes now who are now about to start their gradual but consistent build to Ironman Melbourne. If you are training for IM Melbourne and ARE NOT completing a Half IM race before Christmas (ie not doing Shep/Busso) please email Emma so she can ensure you are on the right program starting from October. Those who are racing IM Melbourne but ARE doing a Half before Christmas will continue their build and then switch over post their Half IM race. Also ensure you have joined our Ironman Melbourne Facebook Group where further communication and discussion around the race takes place. A couple of years ago we held a fantastic camp in Falls Creek over the New Year Period and we are again looking at holding a Camp either the first OR second week of January. This camp would be specific for those racing Challenge Melbourne / Geelong and/or IM Melbourne/NZ. *Please note not suitable for short course due to the Olympic Distance Race on 12 Jan.
CLICK HERE if you would like to express interest in training in Falls Creek! One of the biggest events on the triathlon calendar in Australia – the Noosa Multi-sports Festival will this year again seen a HUGE contingent of Tri Alliance athletes head to the Sunny Coast to embark on the largest Olympic Distance Race in Australia. Last year we had over 200 Tri Alliance athletes race from both TA Vic and TA QLD and this year will be just as big – if not bigger! Stay tunes for details on functions and events we will be organising leading into the event and post event. We are excited to announce the launch of our new Running Squad and introduce to you the newest member of our running team Rupert Van Dongen. There is a continual growing interest in running events in Melbourne over the past years and a lack of formal coaching options for age group runners. As such, Tri Alliance will now be providing up to 5 run sessions per week! This is a fantastic addition to the current timetable providing not only another aspect to Tri Alliance but for our existing members more options and flexibility. Click here for more information. And feel free to share with anyone you know who would be interested! A reminder that all riders on TA Group rides are expected to wear Tri Alliance Cycling Kit, and all riders must abide by all road road, be curteous to others and ensure the safety of themselves and those riders around them. You must also be self sufficient with nutrition, hydration, changing a tyre, and must care spares, phone, money/credit card and ID. *Please check the LIV/Giant Facebook page Saturday Morning for any ride changes/cancellations. Time: 6.45am start. Will head straight towards Mordialloc first. *Please note athletes will be split into smaller groups of around 10 so ensure you pair up with riders of similar ability. Time: 6.30am start. Will head to Port Melbourne first. MSAC – 7.50am briefing for 8.00am start, Coach Emma. Contact Tri Alliance if you are looking for group triathlon training or triathlon coaching in Melbourne, beginner triathlon programs, online triathlon training programs or you are training for an Ironman.